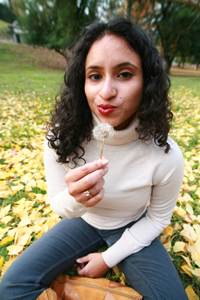 Tarfia Faizullah’s poems have appeared or are forthcoming in Mid-American Review, Ploughshares, The Missouri Review, Ninth Letter, New Ohio Review, Passages North, Poetry Daily, Crab Orchard Review, Poems of Devotion: An Anthology of Recent Poets, and elsewhere. A Kundiman fellow, she received her MFA in poetry from Virginia Commonwealth University, where she served as the associate editor of Blackbird. She is the recipient of a Fulbright Fellowship, a Bread Loaf Writers Conference Margaret Bridgman Scholarship, a Kenyon Review Writers Workshop Peter Taylor Fellowship, a Ploughshares Cohen Award, a Dorothy Sargent Rosenberg Poetry Prize, and other honors. She lives in Washington, DC, where she helps edit the Asian American Literary Review and Trans-Portal. For APIA Heritage Month 2012, we are revisiting our Process Profile series, in which contemporary Asian American poets discuss their craft, focusing on their process for a single poem from inception to publication. As in the past, we’ve asked several Lantern Review contributors to discuss their process for composing a poem of theirs that we’ve published. In this installment, Tarfia Faizullah reflects upon her poem “At Zahra’s Salon for Ladies,” which appeared in Issue 4. It actually did begin at Zahra’s Salon, with my head tilted back. Auntie Neelam and I never spoke, though she has always been gentle with me and I have never gone to another stylist. That day at the salon, Ghulam Ali’s song Chupke, Chupke began to play. It had been many, many summers since I had last heard that song. My younger self rose up. I went home and began to try to affix the atmosphere of the salon, the deft, elegant movements of Auntie Neelam’s fingers. I listened to Chupke, Chupke over and over again. I called my mother, cradled the phone against my shoulder to take notes while she translated Chupke, Chupke for me. I began to remember that other, younger summer. The summer I had started growing out of my swimsuit. How bewildered I was, how frightened by all that dark hair shadowing across me. “I can feel that other day running underneath this one,” Anne Carson wrote, and similarly, I strongly felt the summer of my youth below that present one. As adults, we take for granted the agency we have to strip our bodies of their darkness. The poem has always been in second person. It had to be so that I could clearly see both my younger and adult selves as I was addressing them. “At Zahra’s Salon” took me two years to write. I am interested in the possibilities of collage, of braiding together multiple elements. It took two years to try to weave together the salon, the song, and those other summers while ensuring each element remained singular and intact. One day, I asked Auntie Neelam about her life. She was born and raised in India, and is married and has a child. I think she was as startled as I was. She started telling me about her wedding day. I remembered my own wedding, the way my body was purified, decorated, posed. She gave me a mishti. I left the salon, my face smarting. One of the red brick walls was covered in clematis vine. I wanted to write a poem that could dwell in nostalgia, that could dwell in those first feelings of hunger without fully leaving the present. I wanted to write a poem that acknowledged the beauty and terror of solitude. Don’t we all long for a lifetime of sweetness? Tarfia, I would love to read some of your poetry. Where can I find it? Tarfia also has a book coming out in 2014 (called Seam; to be published by Southern Illinois University Press).